Handmade by Chattanooga Leatherworks. 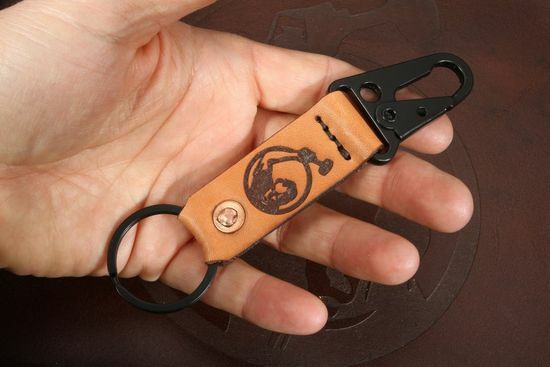 Knifeart.com logo is laser etched on the leather section of the key fob. 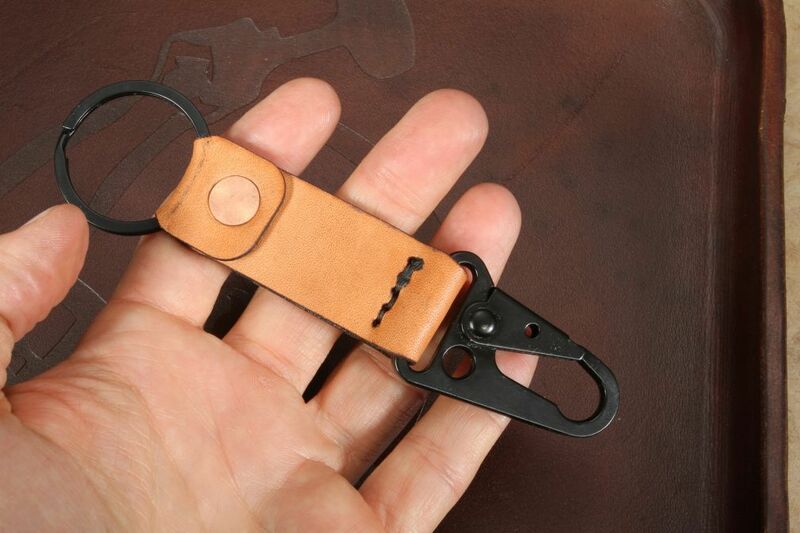 One end of the key fob features a black coated key ring, the other end features a black coated belt loop clip. Total length 5 1'2 inches.